The first thing most people wonder is if they personally can get implants, especially if they already wear dentures. The answer is often yes, but only a dentist can determine if an individual patient is a candidate for implants. Implants need healthy bone in the jaws, and bone begins to deteriorate as soon as teeth are lost. 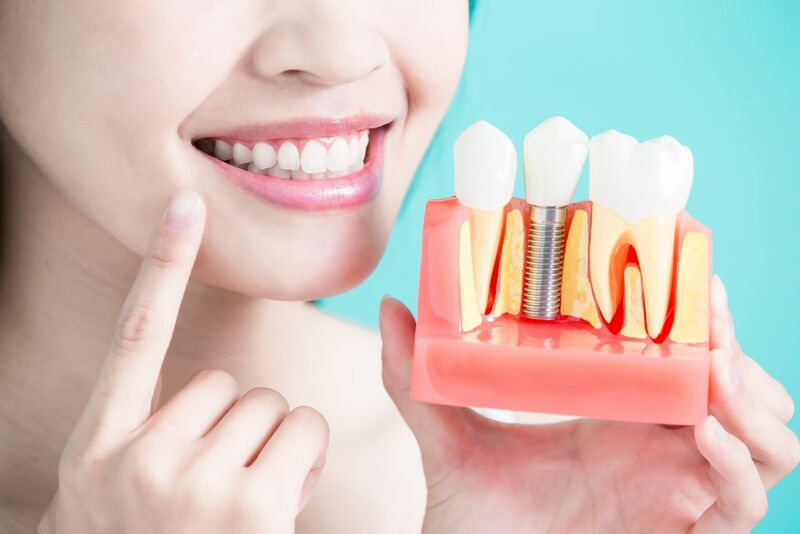 The longer you have been without teeth, the less likely it is that implants will work; however, there are different types of implants and methods to make implants possible even for people who have been toothless or worn dentures for a long time. Also, certain health conditions may increase the risk that your body will reject implants. It is important for the dentist to know your health history when determining if you are a candidate for dental implants. The cost of dental implants is higher than the cost of dentures or other tooth replacements, but over the years, implants may actually save you money. Unlike dentures, implants require no special cleaners or adhesives. A normal toothbrush and the toothpaste you buy for your family is all that is required. Dentures and bridges need frequent adjustments and complete replacement every several years, but implants can last a lifetime. The upfront cost of getting implants depends on a variety of factors including location of the dentist, the type of implants you are getting and the work that needs to be done prior to getting implants, such as tooth extractions or bone grafting. The term “dental implants” actually refers to a variety of different types of implants and crowns. A single implant can replace one missing tooth with a titanium post that has an artificial tooth fixed to it. Full implants that replace all the teeth in the mouth may consist of several implants that support a row of crowns, while mini-implants may support removable dentures that are held in place by snapping on to the implants. Another type of popular dental implant needs only four implants to support an entire arch of teeth on the top or bottom. Implants are not something that you can get in just one or two dentist office visits. There are many steps on the journey towards implants, and the entire process can take about a year. During this time, you will always have temporary dentures to wear, so you will never have to be without teeth. There may be more than one dental professional involved in your implant process, such as a general dentist and oral surgeon. The entire implant plan can be laid out for you in the beginning so that you will know what to expect at every step of the way. There is always a possibility of changes to the plan along the way, but your dentists can keep you in the loop so that you will always be informed of what is happening. Part of getting implants involves surgery, so you can expect the normal discomfort that goes along with any oral surgery. Modern pain management techniques keep this discomfort to a minimum, and there is no particular pain associated with actually having dental implants. In fact, because they are permanent, you won’t have to worry about the pain that often goes with dentures, such as getting food particles caught between your dentures and gums or getting sore spots from dentures that don’t fit correctly.